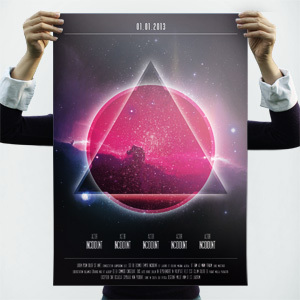 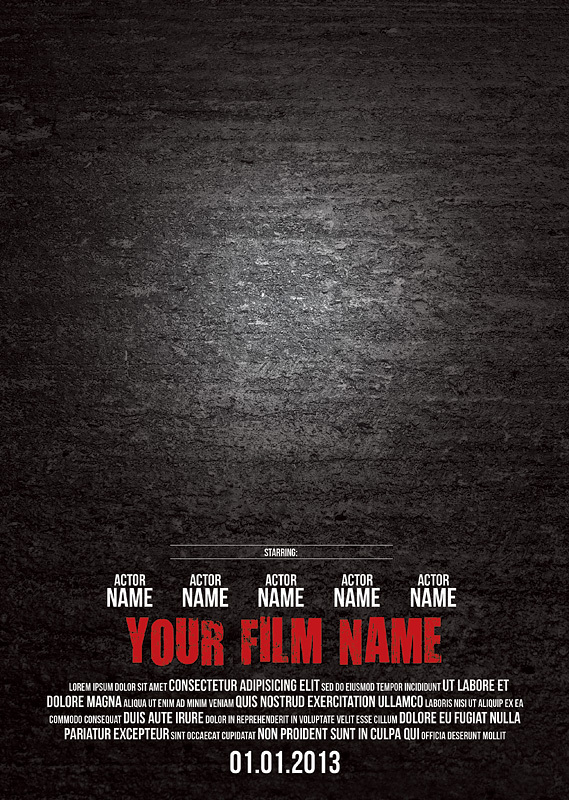 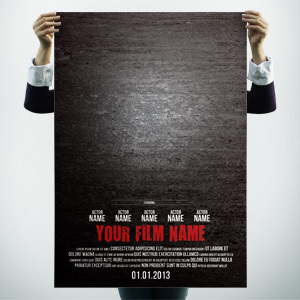 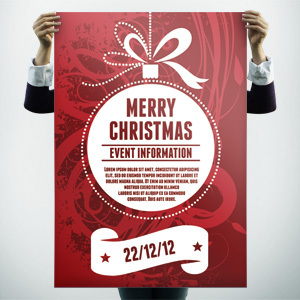 For sale poster template. 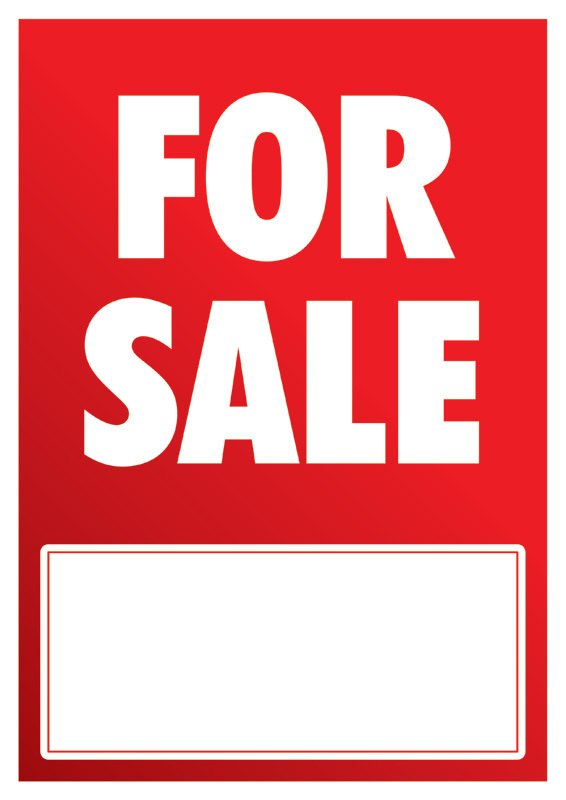 Selling something? 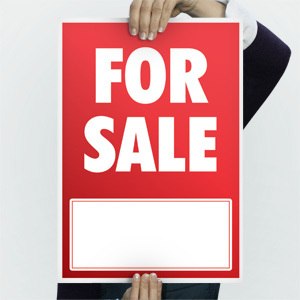 Use this for sale sign template to get the best impact, all you need to do is add your telephone number to the white box! 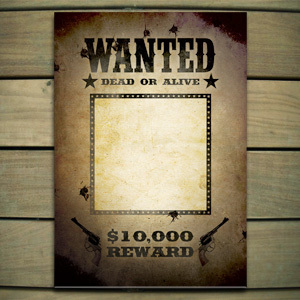 Wanted poster template, all you need to do is drop in the photo of your intended target and print! 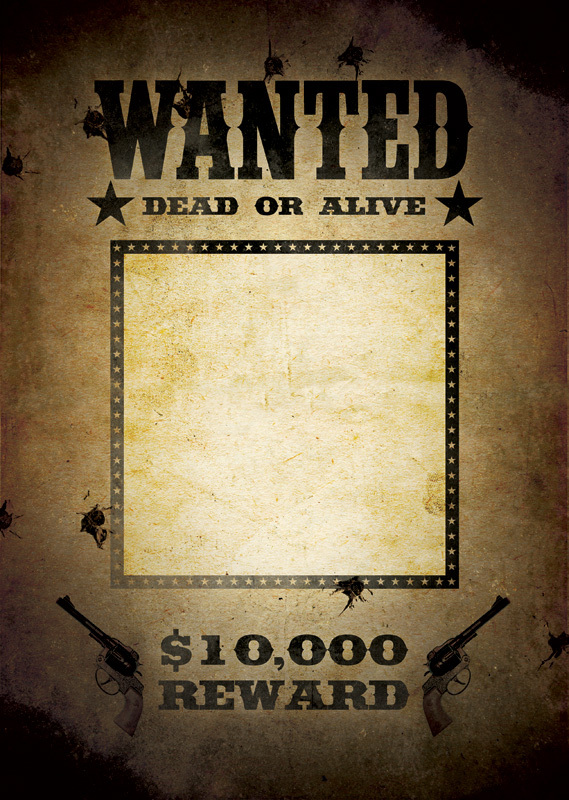 The download includes a Jpeg background file. 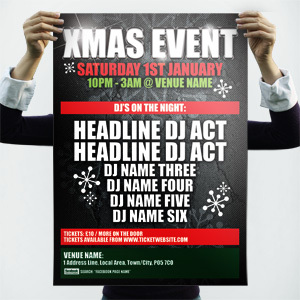 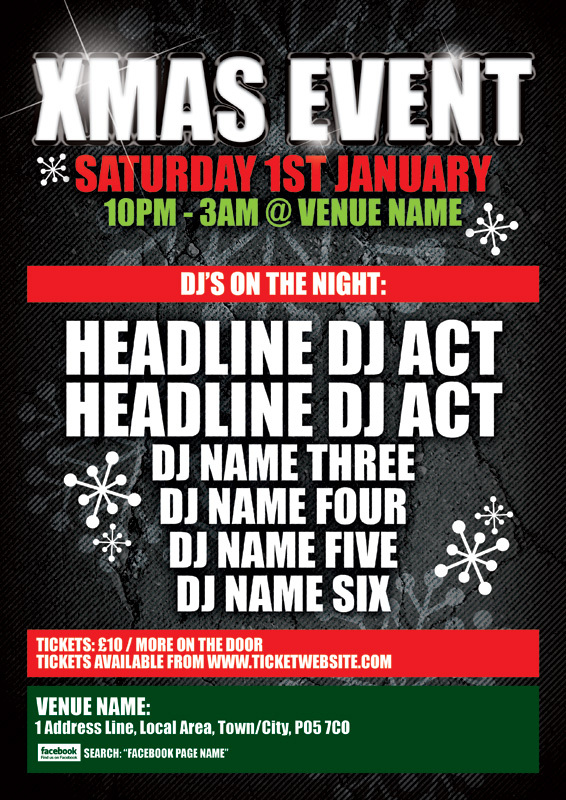 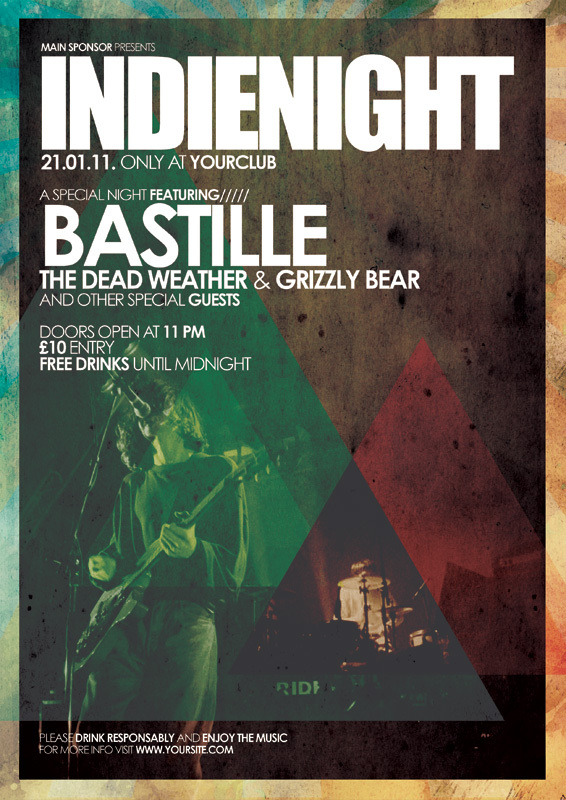 Poster template for a blingy Christmas nightlife event. 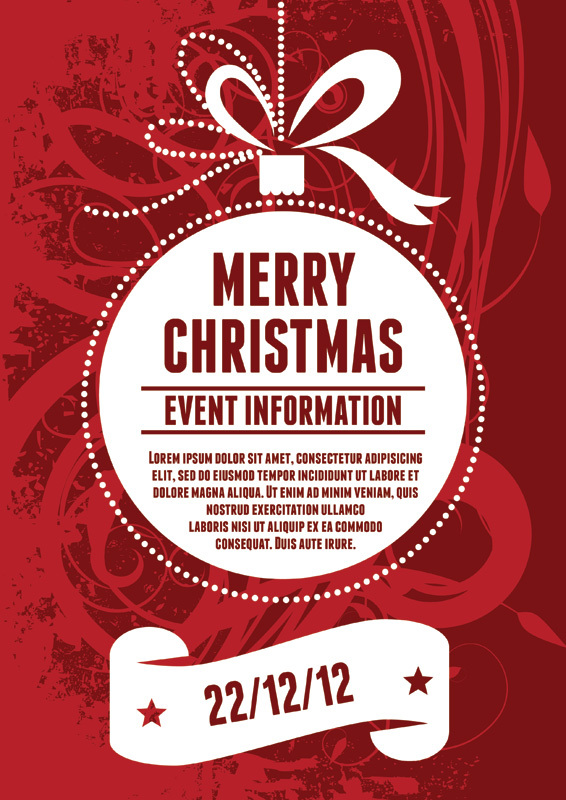 This layered Photoshop file is easy to edit and adapt for your Christmas event. 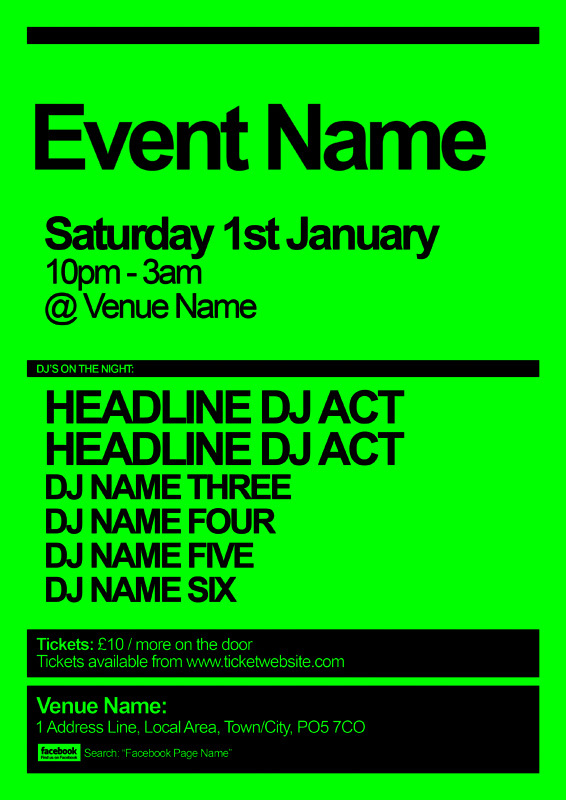 This is a minimal dayglo poster template for a bar or nightclub event. 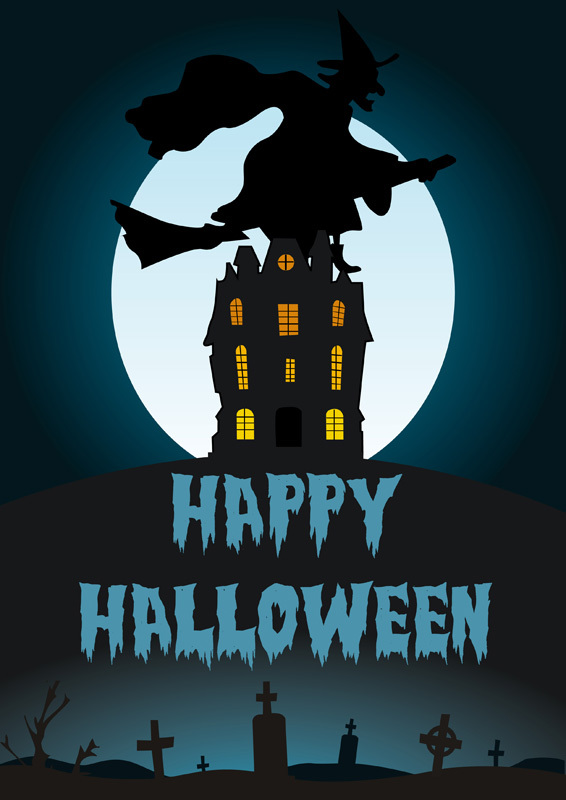 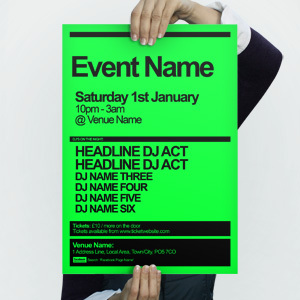 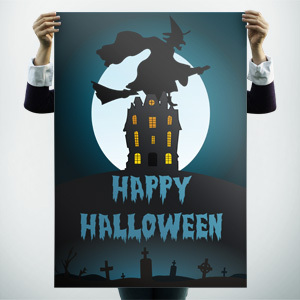 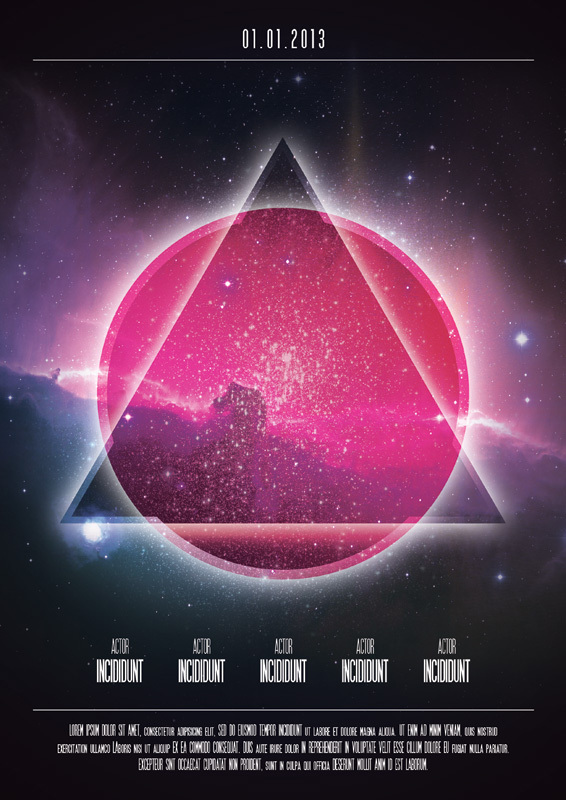 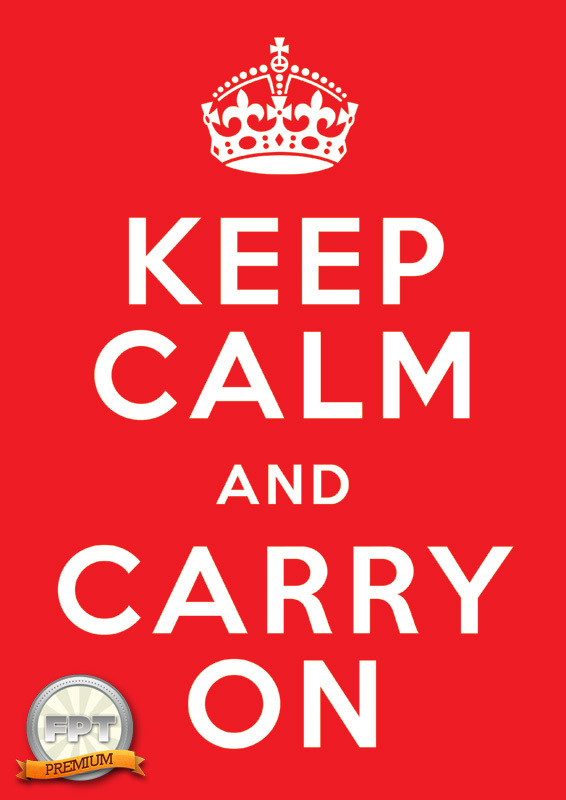 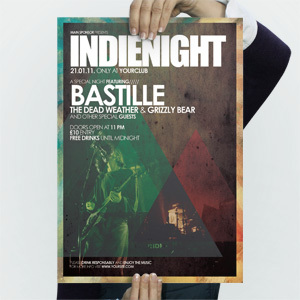 Simply download the file and add your own details to create a clear and concise dayglo poster.